Our Current Fund Raising Venture! To date over 95 donors have contributed a total of $306,000! 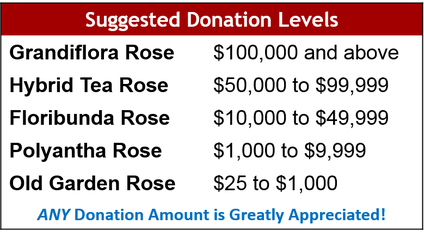 The Rose Society is very grateful. “We believe this is the last significant project to enhance and improve this historic garden” says Sandy Campuzano, campaign chair.